It comes with a new 2-litre engine and a fancy nine-speed auto transmission. 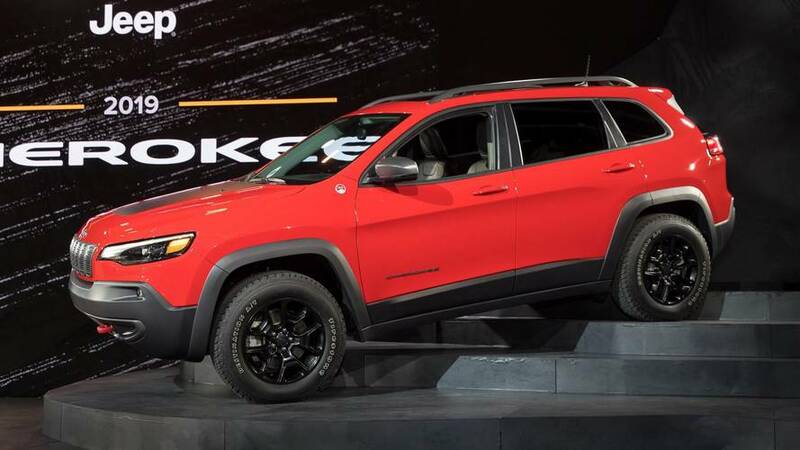 The latest iteration of Jeep's popular Cherokee model has been revealed at the Detroit motor show, sporting a subtle redesign. The outgoing model's odd squint caused a bit of a stir when it was first revealed, but the new SUV offers a far more conventionally handsome design. The main headlines for the new car are an all-new 2-litre engine and nine-speed automatic transmission. The direct-injection in-line four-cylinder engine – exclusive to Europe – has been designed to enhance fuel economy and efficiency, while the excessively cogged transmission is available across the range. Other engines available are the not-very-European 3.2-litre Pentastar V6 and slightly more appropriate 2.4-litre PZEV Multiair2 Tigershark I4, which is worth speccing for its name alone. 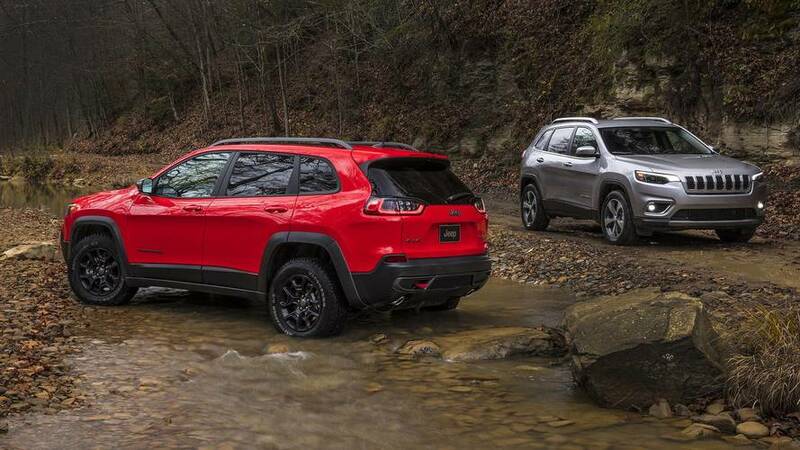 As expected, the new Cherokee comes with four-wheel drive – but not just four-wheel drive, it has three different choices of four-wheel-drive systems: Jeep Active Drive I, Jeep Active Drive II, and Jeep Active Drive Lock. All three offer impressive off-road capability in any conditions, and also have an impressive feature that disconnects the rear axle to ensure reduced energy loss when 4x4 capability isn’t needed. That in turn improves fuel economy too. A number of design elements have been reworked on the American classic – the front end, bonnet, LED headlights, DRL and fog lamps have all been updated. In fact, LED headlights are now standard across the range. 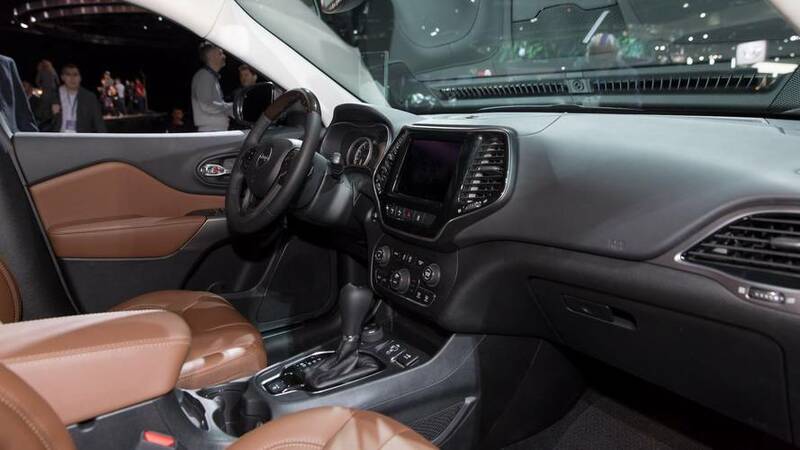 Inside there's also a refreshed interior, with stylish satin chrome and piano black elements. 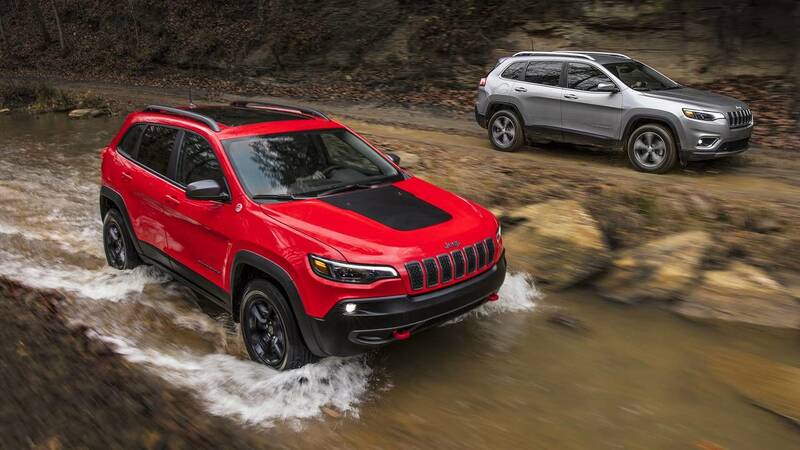 The new Cherokee also gets the latest Uconnect infotainment systems, delivering communication, entertainment and navigation features. Apple CarPlay and Android Auto feature on your choice of 7 or 8.4-inch touchscreens with pinch-and-zoom capability. 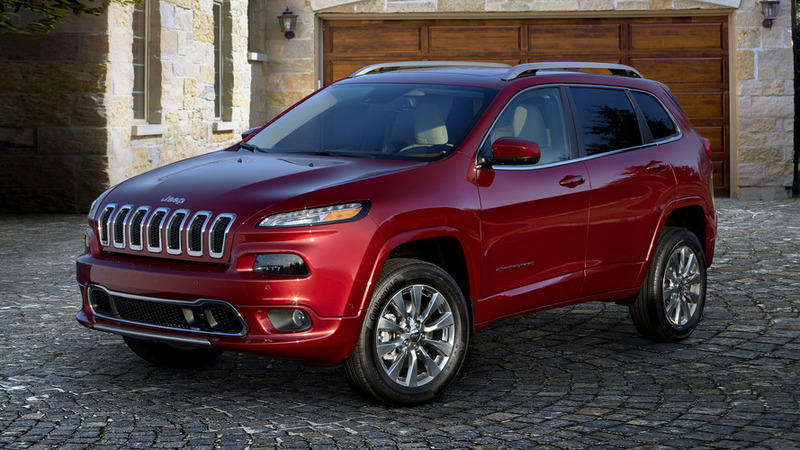 The new Jeep Cherokee will arrive in Europe towards the end of the year, with full specs set to be confirmed nearer to the car's on-sale date.